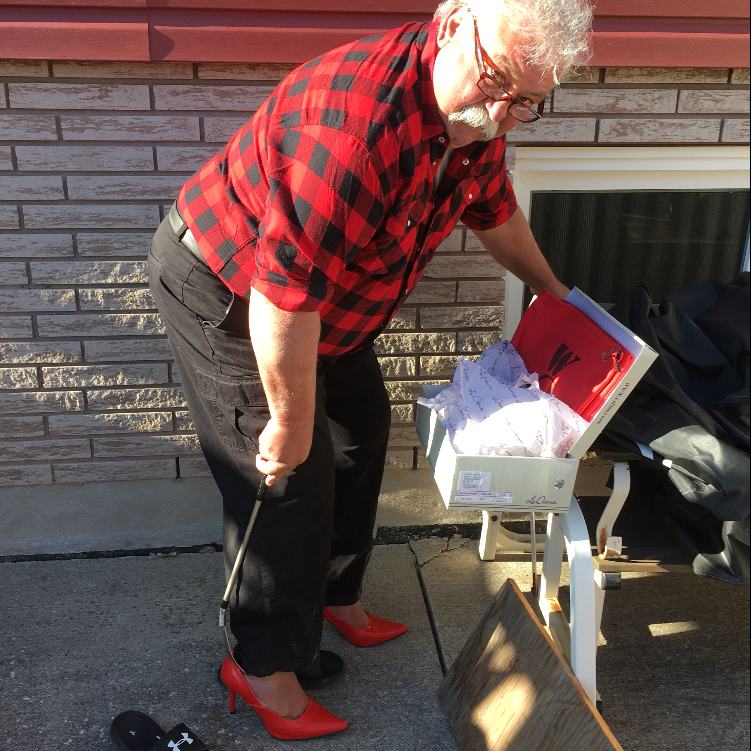 Each of you are invited to join your community as we Walk a Mile In Her Shoes at City Hall in downtown Sault Ste. Marie, on Saturday, May 25, 2019 in support of Women In Crisis (Algoma) Inc. United, we can create a community that stands in support of a violence free life for all women and children. All pledges go towards furthering the work of ending Violence Against Women and Children. If you have any issues registering or donating please contact Women In Crisis and we will be able to come and assist you in the process! On the day of the event, May 25th, 2019 - all teams/walkers are asked to arrive to submit their pledge forms and accompanying monies no later then 10 am. ** PLEASE NOTE: Women In Crisis will NOT be responsible for collecting any pledges. Most important, is that the WINNING TEAM will hold bragging rights for the entire year! Last Year out of NOWHERE winning team swooped in to steal the lead! The challenge is ON who will WIN the title for 2019??? 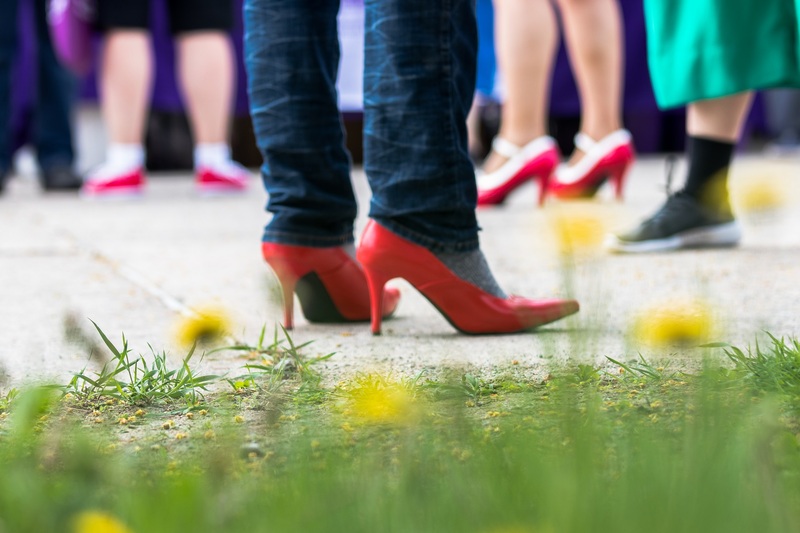 Walk a Mile in Her Shoes® is a fun opportunity to raise community awareness about the serious causes and effects of violence against women and children. 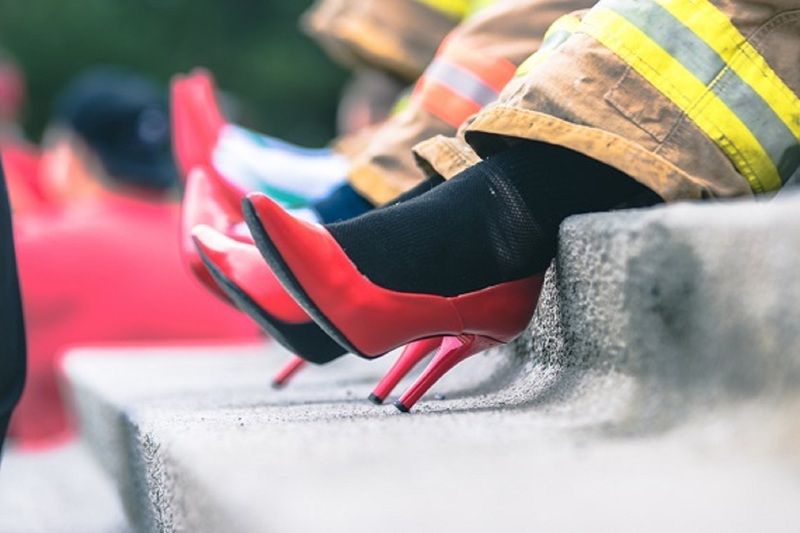 Walk a Mile in Her Shoes asks men to literally walk one mile in women's RED high-heeled shoes, but women are asked to wear some comfortable shoes for the walk! Saturday, May 25th 10:00AM - Team Registration/Pick up your Shoes! 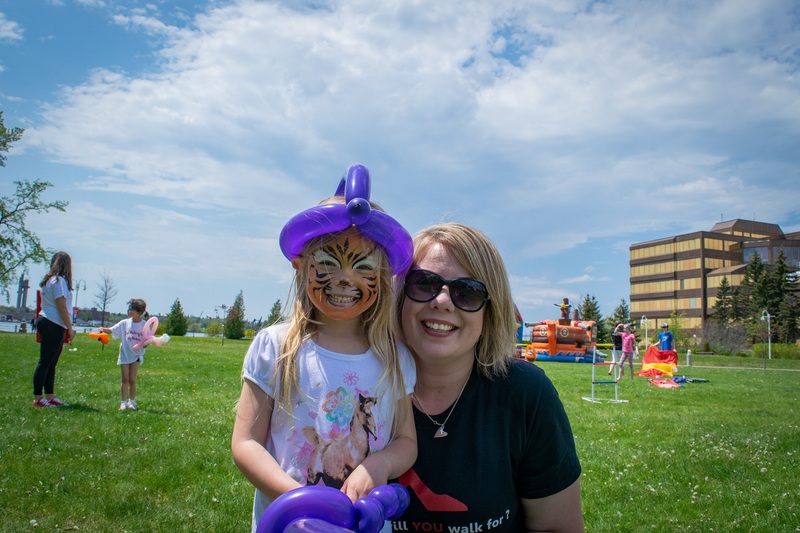 There will be FACE PAINTERS/BALLOON ANIMAL CREATIONISTS/BOUNCY CASTLES and FOOD! 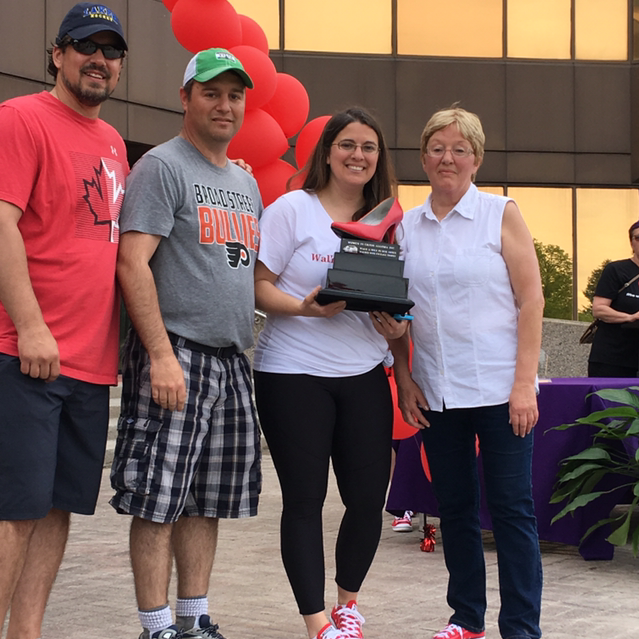 The Team that raises the most money in pledges will win the distinguished WALKED WITH COURAGE TROPHY to be kept for the entire year preceding the following walk. 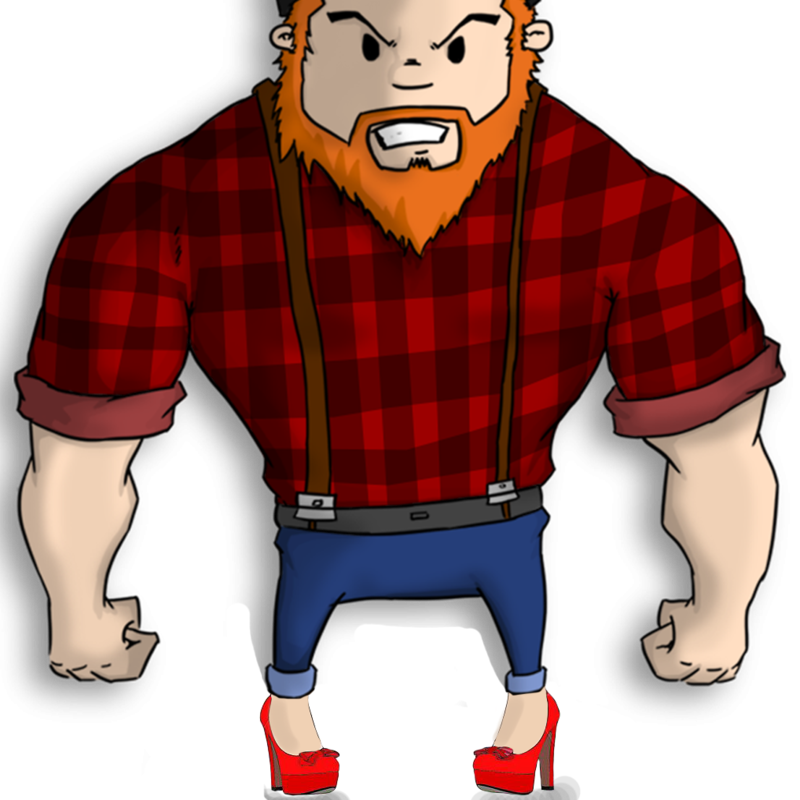 In addition to the trophy - the winning team will also be awarded with up to $200 in gift certificates to local businesses in Sault Ste. Marie. 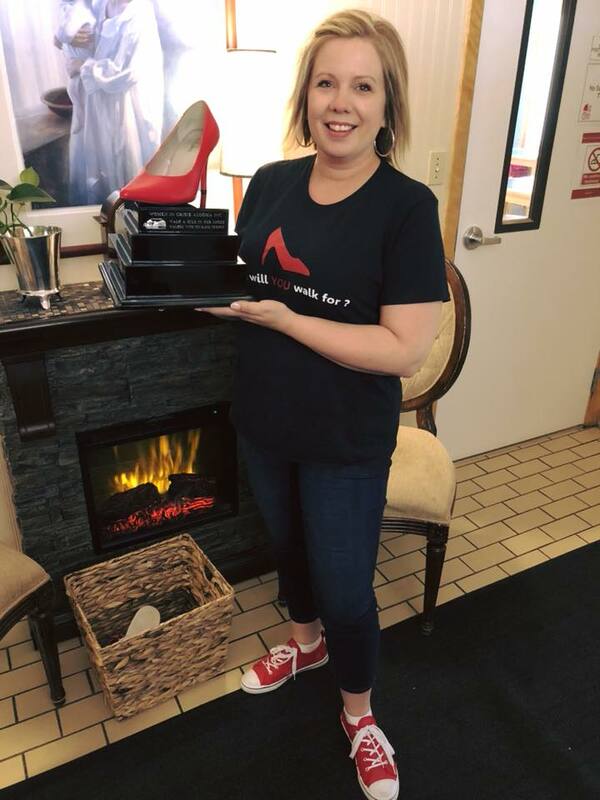 The Individual Participant who raises the most money in pledges will win the distinguished LEADER OF THE MILE AWARD in addition to a $50 gift certificate to a local business in Sault Ste Marie. 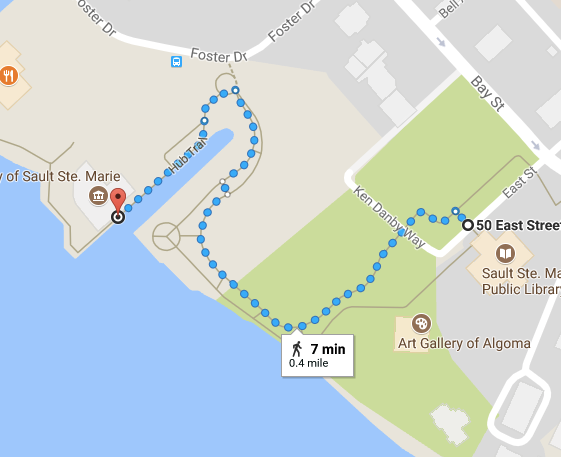 Follow the hub trail along St. Mary's River. After the Walk, to retrieve your shoes simply return your heels to the registration table. 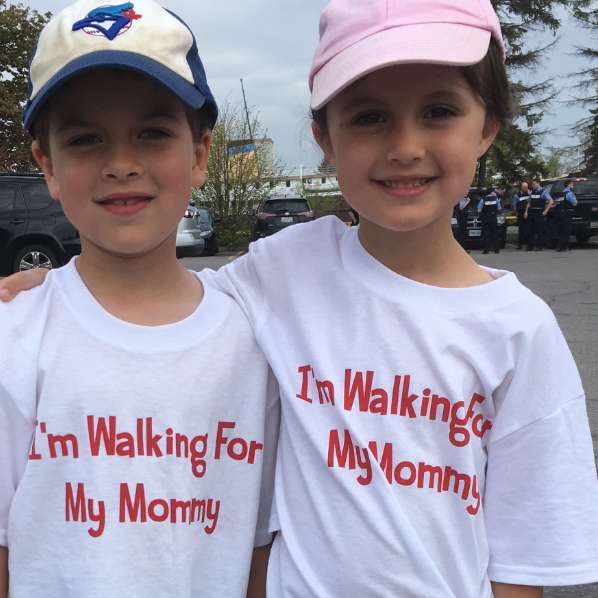 Post walk activities will include refreshments, door prizes and family activities. A variety of foot care items will be available at the First Aid station, located in Roswell Park. A pair of red pumps have been reserved for your feet! You will be wearing a two inch red pump. It is advisable to bring along one pair of thick socks and one pair of dress socks. You will receive a pair of heels in exchange for your street shoes at the registration table. After the Walk, to retrieve your shoes simply return your heels to the registration table. These high heels are manufactured to fit a man's foot. Walk confidently and have fun!